On Sunday, the 21st of January 2018, two teams of Eli Endemic Roots set out with one aim: sensitise the public about the importance of endemic plants to our country. The “One Plant Per Family” campaign of Eli Endemic Roots consists of offering families the opportunity to own their very own endemic plant, through a door-to-door service. The town of Quatre-Bornes which is located in the Plaines Wilhems, and Mahebourg, the main village of the Grand Port District, hosted the first edition of our sensitisation campaign. At 10:00 a.m., our teams met their first family. Families had to choose among 9 well-known endemic plants: Bois De Chandelle, Bois Judas, Palmier Bouteille, Bois Mapou, Baume de L’Ile Plate, Dianella Verte, Hibiscus Fragilis, Bois de Rat and Fleur De Lys. People heartily welcomed us to their houses, willing to make their own contribution to our cause. Members of the public were very receptive to our campaign. We knew that people were ready to think different and do their best to preserve the environment when we saw the plethora of plants and flowers in their gardens. As we walked from house to house, we raised consciousness about the importance of having an endemic plant at one’s place-now that our country counts a diminishing number of such plants. 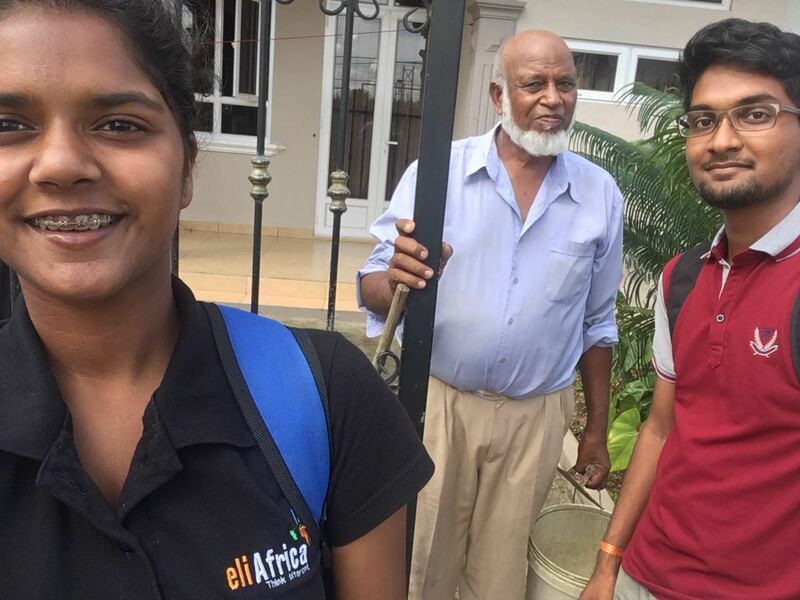 With the help of pamphlets, we were able to give the families we talked to, further details about our job as part of Eli Africa. Moreover, families appreciated the fact that we opted for payment after delivery in addition to the door-to-door service. We noted that flowers caught particular attention, with the Dianella Verte and the Hibiscus Fragilis being the most ordered endemic plants. At 13:00 p.m., our two teams put an end to the first edition of the sensitization campaign organised by Eli Endemic Roots. The long hours spent walking in the blazing sunshine were worth it, considering the fact that we were able to make people aware of an issue of utmost importance- the extinction of endemic plants in the near future if no endemic plants are planted to replace the ones that have been cut or destroyed. Our teams are looking forward to organising other editions of the sensitisation campaign during the upcoming weeks. We hope to change the attitude of people towards the environment. This will only be achieved, when you, citizen of Mauritius, realise that if nothing is done to preserve the environment, the lives of future generations will be threatened.